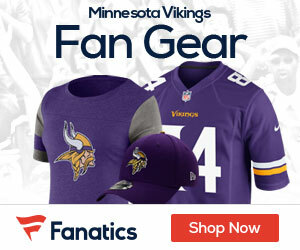 I am one of the thousands of Minnesota Vikings fans that has had a hard time adjusting to not only a Green Bay Packer running our offense but “THE Packer” that was most hated by us aboard the Vikings ship. I will admit it did take some adjustment. Just a few clicks on the history of the some of the greats in the NFL Football Hall of Fame has shown me that it is acceptable. I have decided to judge Brett Favre on what he does for us. Beating the Packers is a must… winning 10 games is a must. We have a team that is very talented and can go all the way to the Super Bowl. We also have a team that could easily end up 9-7. There is a fine line in there and everything has to go right. Injuries, coaching, and attitude all will play a huge part in our success. You have to have players that want to win. You need a leader that knows how to win. The Team must be able to win games in the last few minutes (Yes, Favre gives us that part). Can our team win? Definitely, will the Viking coaches allow that to happen? Our basic offense has been very predictable. Often boring and expectable even if we were winning. Some people say that Childress kept it simple for our QB Tarvaris Jackson learning the offense. That just isn’t so… Brad Johnson was a smart capable QB and all we saw was “check down” Brad. Coach Childress wouldn’t allow any gun slinging or taking a chance. This is football… It has to be done and done with attitude. Hopefully Brett Favre will open that playbook wide open and put the Defense on their heels instead of piling up on the line of scrimmage. 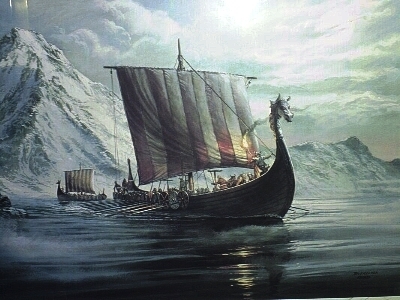 Get aboard… The Vikings ship is getting ready to sail! Great start Todd! Looking forward to more of your insight as the season progresses.